NEW YORK, NY – January 11, 2019 – Wilshire Phoenix, LLC,,an investment management firm dedicated to helping its clients manage assets throughout the investment lifecycle and sponsor of the United States Bitcoin and Treasury Investment Trust (the “Trust”) announced today that the Trust has filed a registration statement on Form S-1 with the Securities and Exchange Commission relating to the proposed initial public offering of its common shares. The purpose of the Trust is to seek to provide investors with exposure to Bitcoin in a manner that is more efficient, convenient and less volatile than purchasing stand-alone Bitcoin. The Trust will have no assets other than (a) bitcoin, (b) short-term duration United States Treasury Bills and/or (c) U.S. dollars, in proportions that seek to closely replicate the exposure of a custom index to Bitcoin. The number of common shares to be offered and the price range for the proposed offering have not yet been determined. In connection with the offering, the Trust intends to apply to list its common stock on a U.S. stock exchange. An electronic version of the registration statement can be accessed through the SEC’s website at https://www.sec.gov/Archives/edgar/data/1750145/000091957419000279/d8050549a_s-1.htm. The offering of shares of the Trust will be made only by means of a prospectus. 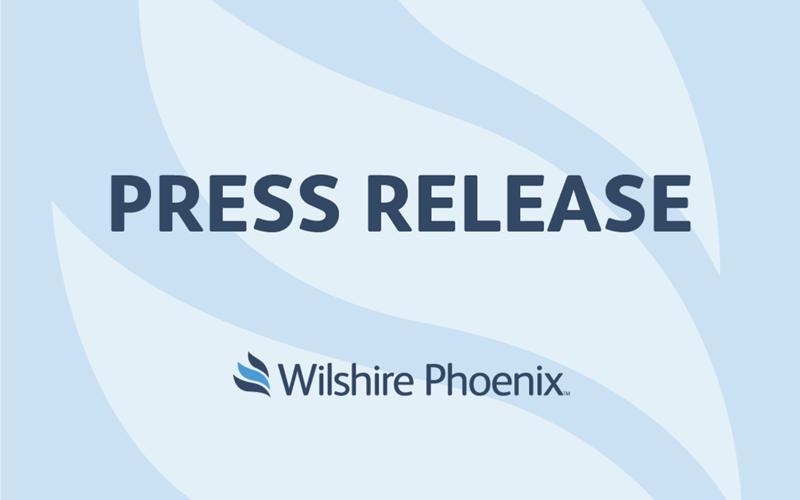 A copy of the preliminary prospectus, when available, may be obtained by mail from Wilshire Phoenix Funds, LLC, 2 Park Avenue, 20th Floor, New York, New York 10016, or by emailing mailto:funds@wilshirephoenix.com. The registration statement relating to these securities has been filed with the SEC but has not yet been declared effective. These securities may not be sold nor may offers to buy be accepted prior to the time the registration statement becomes effective. This press release shall not constitute an offer to sell or the solicitation of an offer to buy these securities, nor shall there be any sale of these securities in any state or jurisdiction in which such offer, solicitation or sale would be unlawful prior to registration or qualification under the securities laws of any such state or jurisdiction. This press release contains forward-looking statements (as defined in Section 27A of the Securities Act of 1933, as amended, and Section 21E of the Securities Exchange Act of 1934, as amended) concerning future events and the Company’s growth strategy and measures to implement such strategy. Words such as “will,” “expects,” “intends,” “plans,” “believes,” “anticipates,” “hopes,” “estimates,” and variations of such words and similar expressions are intended to identify forward-looking statements. Although the Company believes that the expectations reflected in such forward-looking statements are reasonable, no assurance can be given that such expectations will prove to have been correct. These statements involve known and unknown risks and are based upon a number of assumptions and estimates that are inherently subject to significant uncertainties and contingencies, many of which are beyond the control of the Company. Actual results may differ materially from those expressed or implied by such forward-looking statements. The Company expressly disclaims any obligations or undertaking to release publicly any updates or revisions to any forward-looking statements contained herein to reflect any change in the Company’s expectations with respect thereto or any change in events, conditions or circumstances on which any statement is based.